Thanks to the caring staff at Valley Children's Hospital, miracles happen every day in the Central Valley. 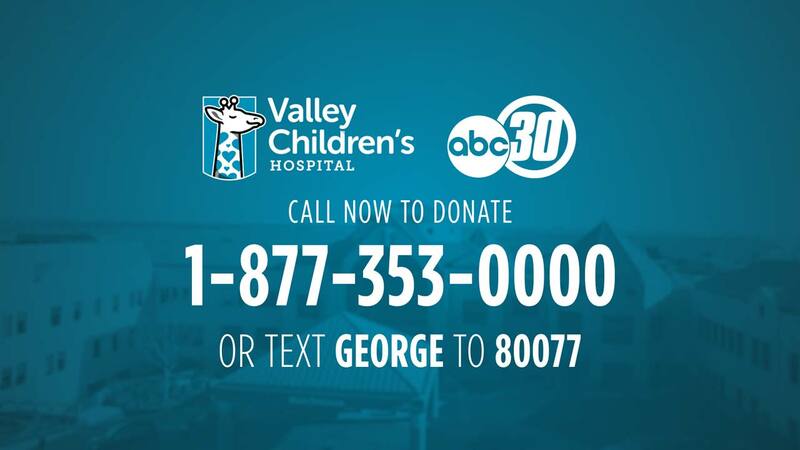 You can help make more miracles happen during the Futures Worth Fighting For Telethon on Thursday, August 17th by calling 1-877-353-0000 to make an immediate donation to the Valley Children's Hospital. You can also click on the image below to make an on-line donation or you can also text GEORGE to 80077 to make a $10 donation. Valley Children's Hospital is a nonprofit, state-of-the-art children's hospital on a 50-acre campus with a medical staff of more than 550 physicians. In California, they treat more inpatient cases than any pediatric hospital north of San Diego. With 356 licensed beds, Valley Children's Hospital is one of the largest hospitals of its type in the nation.